From Microsoft Technet "Performs tasks that are related to file allocation table (FAT) and NTFS file systems, such as managing reparse points, managing sparse files, or dismounting a volume." One of its most helpful options is to disable the creation of legacy 8.3 filenames. This is particularly helpful on servers that have very large numbers of files in a directory with long filenames. turns off the Windows firewall. kills all not responding programs. Description: Selects a file (or set of files) and executes a command on that file. This is helpful for batch jobs. Forfiles /p " C:\Backups\SQL " /d -6 /c "CMD /C del @FILE"
Pipe your dsquery results into dsmod and do mass changes to Active Directory. Description:  Finds any objects in the directory according to criteria. via the global catalog. Default: domainroot. the base object represented by start node (base). unless the start node represents a domain root. subtree is the only valid scope. LDAP search filter format for searching. string must be enclosed in double quotes. each entry in the result set. the objects in the result set. Default: shows both attribute type and value. in a list format. Default: table format. -d <Domain> connects to a DC in domain <Domain>. Default: a DC in the logon domain. domain\user name, or user principal name (UPN). -r                          Recurse or follow referrals during search. Default: do not chase referrals during search. 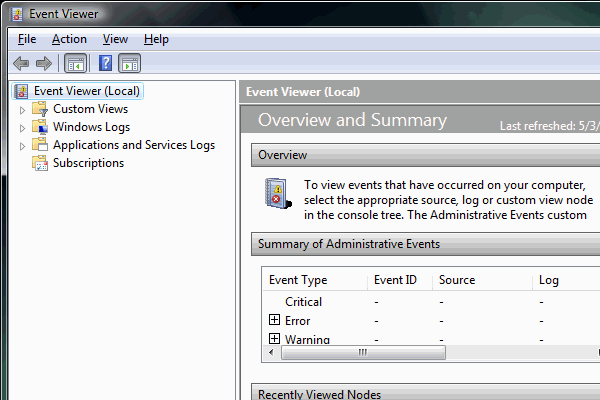 -gc                         Search in the Active Directory global catalog. is the number of objects to be returned. properties of a specific object, use the dsget commands (dsget /?). (for example, a list of attribute types). dsquery computer /? - help for finding computers in the directory. dsquery contact /? - help for finding contacts in the directory. dsquery subnet /? - help for finding subnets in the directory. dsquery group /? - help for finding groups in the directory. dsquery ou /? - help for finding organizational units in the directory. dsquery site /? - help for finding sites in the directory. dsquery server /? - help for finding servers in the directory. dsquery user /? - help for finding users in the directory. dsquery quota /? - help for finding quotas in the directory. dsquery partition /? - help for finding partitions in the directory. dsadd /? - help for adding objects. dsget /? - help for displaying objects. dsmod /? - help for modifying objects. dsmove /? - help for moving objects. dsquery /? - help for finding objects matching search criteria. dsrm /? - help for deleting objects. dsquery failed:The parameter is incorrect. type dsquery /? for help. I find that often I need to create large files for testing. mstsc  # starts the Remote Desktop window. mstsc -v 192.168.0.1  # to remotely connect to a given IP. This single command has a lot of mythology surrounding it. It reports no errors, has no help dialog, and the only real output is run for /demoui. But it does work, I think. The clip command on Windows Vista and Windows Server 2008 is very useful: it puts anything passed in on standard input on the clipboard. C:\Users\MyUser\src> rem Continue working in src directory. Useful when working in long directories. I want to get back where i was. It kills permissions to specified resources. Another use for net use is to re-mount a local drive as administrator, so that you don't need to log out (on WinXP, switch user was disabled on domains). connects to a VPN or a dialup network from the command line. See A Description of the Diskpart Command-Line Utility for more information. This is great for running a given command on any file that matches a list of criteria. forfiles -p . /D -7 /M *. * /S -c "cmd /C del @File /Q"
It allows running functions from within any 32 bit DLL. You can do almost everything with this command - and script your OS to your heart's content. Will bring up the "USB Disconnect" dialog (equivalent to right-clicking the "Safely Remove Hardware option in the system tray). Will give you dozens of options to control your printer from the command line. If you suspect something's wrong with protected system files, you can use this tool. to get the same effect. Using set alone shows you all environment variables. One of my favourites is rsop.msc, 'Resultant Set of Policy'. RSoP shows the combined effect of all group policies active on the current system/login. So on a client machine if you're unsure about which particular policy settings are/aren't applied, simply check it out in RSoP!